Shopping for Stranger Things Backpacks? Turn the world of fashion upside-down! 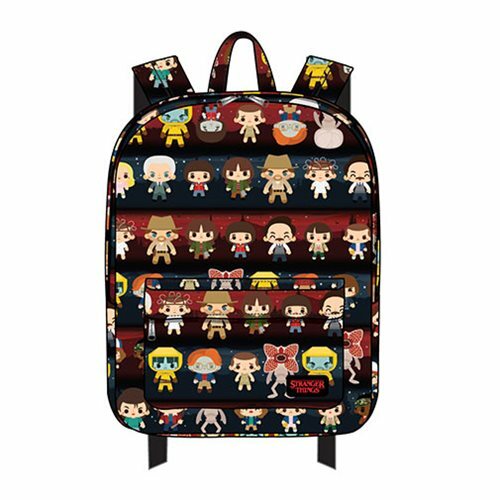 Based on the hit Netflix series Stranger Things, this Stranger Things Chibi Character Print Nylon Backpack is made of nylon with printed details. It measures approximately 11 1/2-inches x 17 1/2-inches x 5-inches.